What do you think about the 6 pointed star? The Star of David, known in Hebrew as the Shield of David; or in Biblical Hebrew, Tiberian, Modern Hebrew as Māḡēn Dāwīḏ, or Magen David; and in Ashkenazi Hebrew and Yiddish Mogein Dovid or Mogen Dovid. The universally recognized symbol of the state of Israel and the Jews seems to be a modern concept of Kabbalistic origin derived from ancient Shamanism, mixed with Indian and Iranian Beliefs. Kabbalah’s definition varies according to the tradition and aims of those following it, from its religious origin as an integral part of Judaism, to its later Christian, New Age, and Occultist/western esoteric syncretic adaptations. Historically, Kabbalah emerged, after earlier forms of Jewish mysticism, in 12th- to 13th-century Southern France and Spain, becoming reinterpreted in the Jewish mystical renaissance of 16th-century Ottoman Palestine. Among problems considered in the Hebrew Kabbalah is the theological issue of the nature and origin of evil. In the views of some Kabbalists this conceives “evil” as a “quality of God”, asserting that negativity enters into the essence of the Absolute. In this view it is conceived that the Absolute needs evil to “be what it is”, i.e., to exist. 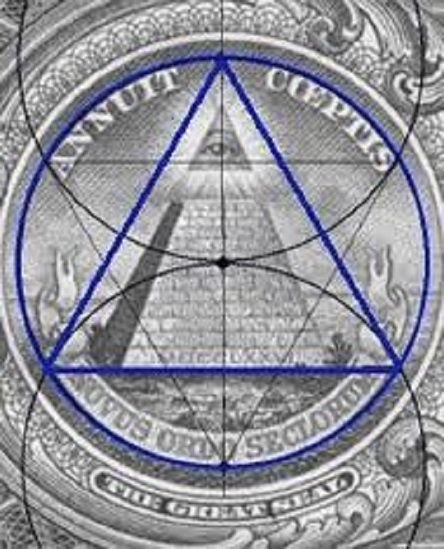 The reversed two triangles could mean the two opposite qualities of God (good and evil, or the upper and lower worlds). 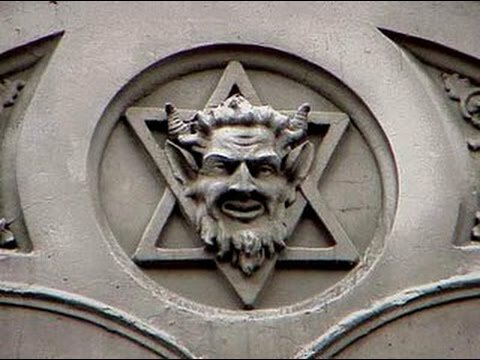 During the 19th century the Star of David began to proliferate among the Jewish communities of Eastern Europe, ultimately being used among the Jewish communities in the Pale of Settlement. The Pale of Settlement existed from 1791 to 1917, and included all of Belarus, Lithuania and Moldova, much of present-day Ukraine, parts of eastern Latvia, eastern Poland, and some parts of western Russia, roughly corresponding to the Kresy macroregion and modern-day western border of Russia. It extended from the eastern pale, or demarcation line, to the Russian border with the Kingdom of Prussia and the Austro-Hungarian Empire. It comprised about 20% of the territory of European Russia and largely corresponded to historical lands of the former Polish–Lithuanian Commonwealth, Cossack Hetmanate, and the Ottoman Empire (with Crimean Khanate). A significant motivating factor to spread the Star of David was the desire to represent Jewish people. But in fact it has nothing to do with David, Solomon, or the Law of Moses. It is just an occultist symbol justifying Satan as the other evil face of God. But, King David never used a star. The Star Tetrahedron symbolizes two worlds within the earth plane. In its 2 dimensional form it is known as a hexagram. It was first used in the Merkabah (or Chariot) mysticism. Merkabah/Merkavah mysticism (or Chariot mysticism) is a school of early Jewish mysticism, c. 100 BC – 1000 CE, centered on visions such as those found in the Book of Ezekiel chapter 1, or in the hekhalot (“palaces”) literature. The main corpus of the Merkabah literature was composed in the period 200–700 CE, although later references can also be found in the literature of the Chassidei Ashkenaz in the Middle Ages. A major text in this tradition is the Maaseh Merkabah (Works of the Chariot). 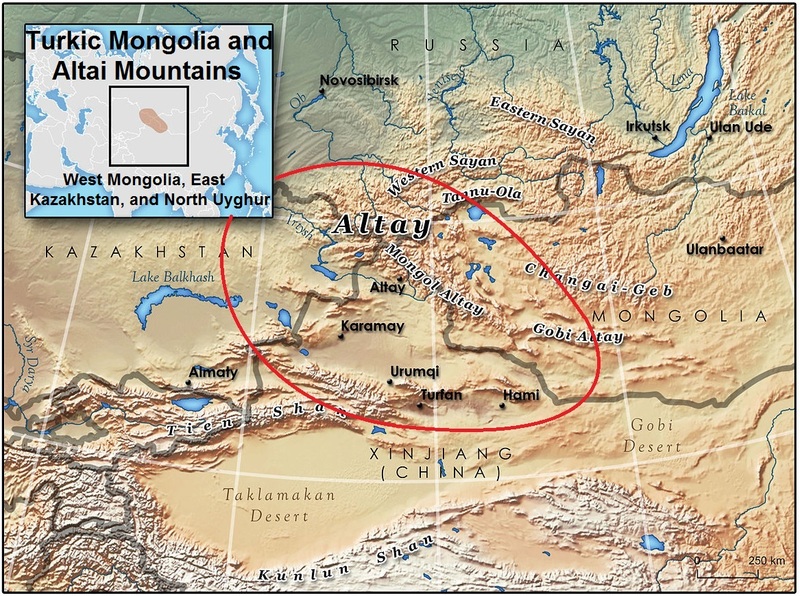 It all came from the Turkic Mongolian origin of Jews. Within the shamanic cosmology, the world is divided into three levels: the upper, lower, and middle worlds. This is often symbolized by a world tree, with the roots, trunk, and branches corresponding to the lower, middle and upper worlds, respectively. This is the trinity of shamanism. Each level contains within it a certain vibrational quality that holds specific wisdom and healing that is accessible to the shaman by entering a non-ordinary or altered state of consciousness. The ability to enter the other reality is frequently achieved through the use of a drum, rattle, dancing, chanting, and medicine plants or mushrooms. The lower world is commonly misperceived as being the place where evil spirits live, darkness pervades, and in general, not a good place. This is mainly due to our cultural conditioning of hell being “down there”, and heaven being “up there.” The lower world is in fact the place where spirits of nature reside. It is a place where the essence of a plant, mineral, animal, mountain, lake, or any other aspect of nature can be connected and communed with. The lower world could also be considered microcosmically to be our unconscious of subconscious self- those parts of our being which are constantly at play but yet we are unaware of. The middle world is our reality as we know it. It is our day to day lives and residing place of our physical bodies and our normal waking consciousness. In order for middle world reality to be understandable, a firm groundedness is necessary- that is, entering a communion with the invisible dynamics of nature, the spiritual essences of the natural world. The middle world would be considered our ego, or conscious self. The upper world is what some call the “heavens.” It is the home of the star nations, celestial or spirit guides, the angels and archetypes (12 astrological signs), and the planetary beings. Microcosmically, the upper world relates to higher self, or superconsciousness that permeates across all time and space. The upper world is where we turn for spiritual guidance and wisdom that is of a higher vibrational quality than that of lower world wisdom. The upper world reveals the depth of our true essential nature that will allow to enter into the flowering of purpose. It is where we receive the guidance that will take us closer to being in harmony with the unity. Although Kabbalah propounds the Unity of God, one of the most serious and sustained criticisms is that it may lead away from monotheism. This dualistic nature of God in Kabbalah is represented in the Star of David as their symbol. 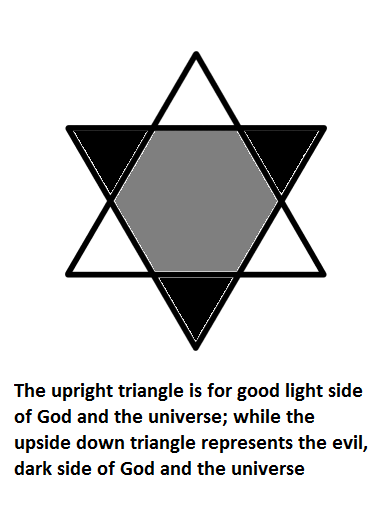 The upright triangle is for good light side of God and the universe; while the upside down triangle represents the evil, dark side of God and the universe. 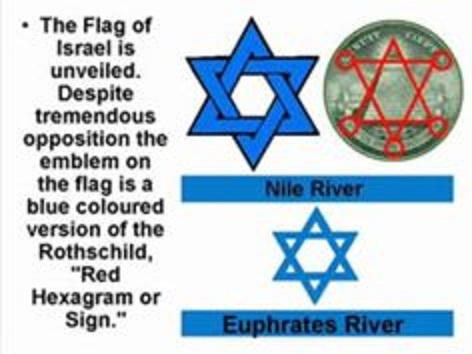 Therefore, in this sense the Shield of David, or more accurately the Rothschild symbol (the Red Shield), actually indicates that Satan is the other and concurrent form of God. The Rothschild family is a wealthy Jewish family descending from Mayer Amschel Rothschild (1744–1812), a court Jew to the German Landgraves of Hesse-Kassel in the Free City of Frankfurt, Holy Roman Empire, who established his banking business in the 1760s. Also, read “The Star Of David Deception” at The End Times Deceptions Studies. 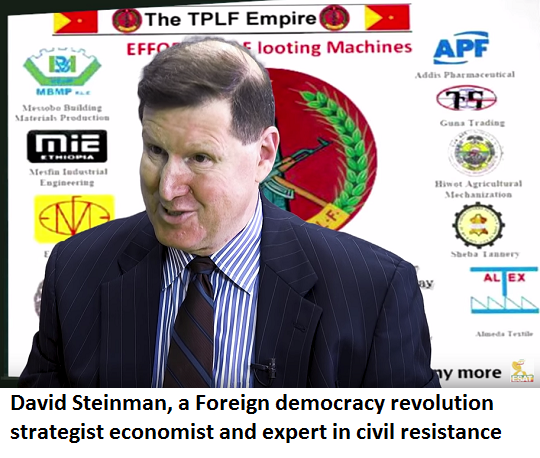 David Steinman, a foreign democracy revolution strategist economist and expert in civil resistance. Is he a Zionist Jew? Journalist Abebe Gellaw screamed Meles Zenawi at the World Economic Forum on Africa, Dar es Salaam, Tanzania, in May 2010. Abebe Gellaw humiliated Meles Zenawi at the G8 Food Security Symposium held at the Ronald Regan Building in Washington DC., May 18 2012. 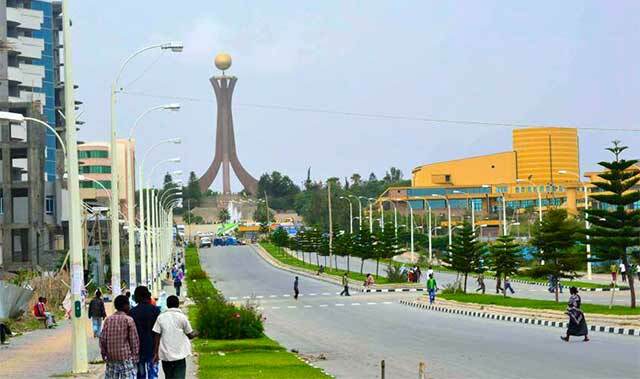 On May 29, 2012, Abebe Gellaw wrote on zehabesha: How to Bring Down Meles Zenawi. On 20 August, Meles Zenawi died after contracting an infection at St-Luke University Hospital in Brussels, Belgium. There are compelling medical and circumstantial arguments to suggest that the episode of May 18, 2012, against Zenawi in Washington DC was a prelude of regime change. Discovering the cause of Meles Zenawi’s death is now of utmost importance. 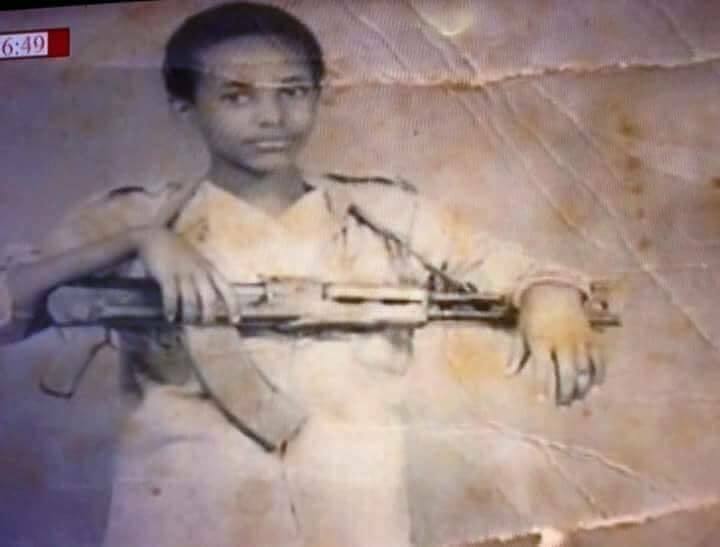 What Killed Meles Zenawi? On May 10, 2014, Abebe Gelaw, heckled President Obama while speaking at a fundraiser event in San Jose, California. Obama promised he will talk to him at the end of the event. 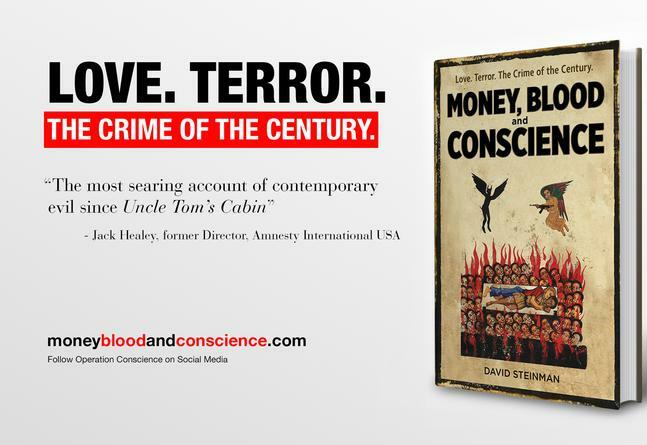 On Aug 18, 2017 Abebe Gellaw interviewed David Steinman, a foreign democracy revolution strategist economist and expert in civil resistance (author of a 2017 book, Money, Blood and Conscience) citing similarities of the regime in Ethiopia and the Apartheid in South Africa. On Feb 15, 2018, the Prime Minister of Ethiopia submitted a letter of resignation to the Ethiopian parliament, saying he was standing down as both the country’s leader and chairman of the ruling coalition over a long period of deadly protests. Hailemariam Desalegn said he felt it was “vital” to step aside to allow reforms. “Unrest and a political crisis have led to the loss of lives and displacement of many,” he said. The surprise resignation came amid the worst anti-government protests in 25 years. Surely, this resignation shows that he was not a dictator. The real organizers, financiers, and motives of the deadly clashes that led to resignation of Hailemariam Desalegn are also very important. 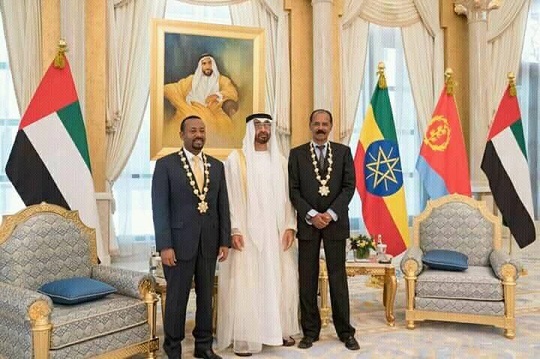 The economy and human development were going very well, what caused these troubles that brought Abiy Ahmed? 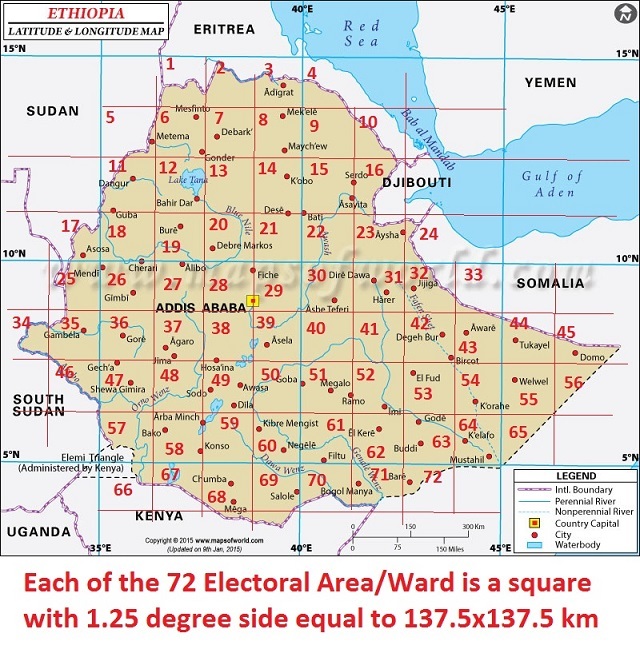 Who really are behind the death of Meles Zenawi; the deadly clashes; the acts of Abebe Gellaw; US Congress HR 128 resolution; the resignation of Hailemariam Desalegn; the fast rising stars of Abiy Ahmed and Lemma Megersa? All these must be investigated by fair authority. Some are very worried and suspicious of Abiy Ahmed’s ethnic and religious politics and his machiavellian mentality along with Lemma Megersa. The troubles that forced Hailemariam Desalegn to resign could be a joint engineered project with strong foreign support. Havilah as mentioned in Genesis 2:10-11 And a river went out of Eden to water the garden; and from thence it was parted, and became into four heads. The name of the first is Pison: that is it which compasseth the whole land of Havilah, where there is gold. In addition to the region described in chapter 2 of Genesis two individuals named Havilah are listed in the Table of Nations which lists the descendants of Noah, who are considered eponymous ancestors of nations. 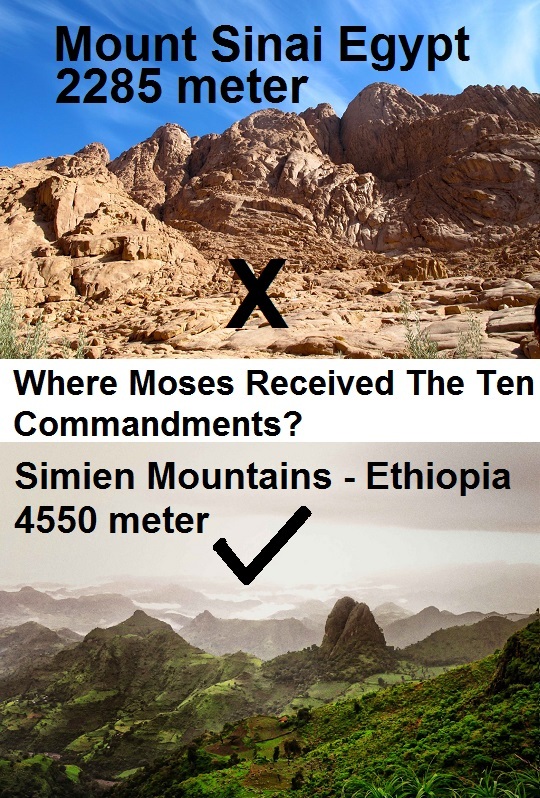 They are mentioned in Genesis 10:7-29 and 1 Chronicles 1:9-23. 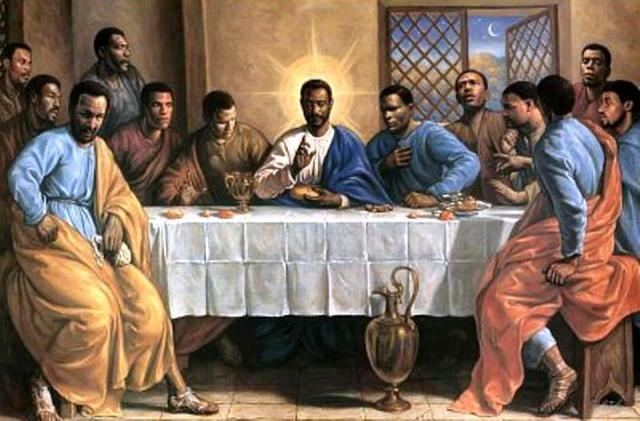 One is the son of Cush, the son of Ham; the other, a son of Joktan and descendant of Shem. 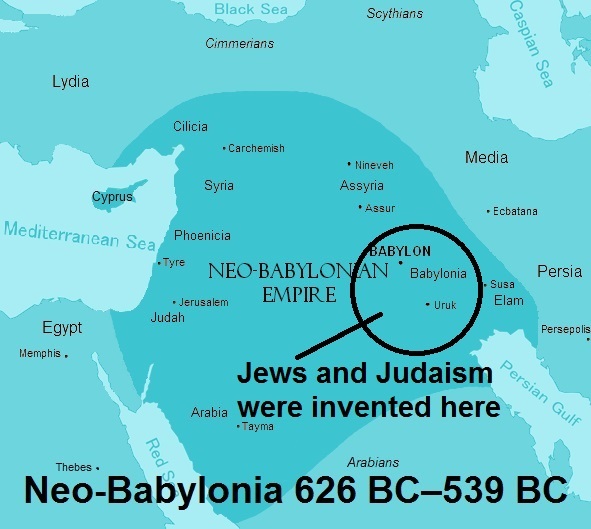 Another land named Havilah is mentioned in Genesis 25:18, where it defines the territory inhabited by the Ishmaelites as being “from Havilah to Shur, opposite Egypt in the direction of Assyria”; and in 1 Samuel 15:7, which states that king Saul attacked the Amalekites who were living there. In extra-biblical literature, the land of Havilah is mentioned in Pseudo-Philo as the source of the precious jewels that the Amorites used in fashioning their idols in the days after Joshua, when Kenaz was judge over the Israelites. An extra-biblical tradition found in the Kitab al-Magall (Clementine literature) and the Cave of Treasures holds that in the early days after the Tower of Babylon, the children of Havilah, son of Joktan built a city and kingdom, which was near to those of his brothers, Sheba and Ophir. Before the Flood in Genesis, we’re told about the land of Havilah—a land filled with gold and precious stones (Gen. 2:11). It was watered by one of the Edenic rivers—the Pishon. After the Flood, in the Table of Nations, we find out that Cush named one of his sons Havilah (Gen. 10:7)—no doubt in remembrance of this land. Cush’s father, Ham, lived in the antediluvian world nearly a century and no doubt was familiar with this land. He may have been there personally that he could give his son Cush a firsthand account. Interestingly enough, Cush himself was named after another antediluvian land near Eden—the land of Cush, which was watered by the Gihon river (Gen. 2:13, 10:6). It would seem Ham chose this name for his firstborn for similar reasons. 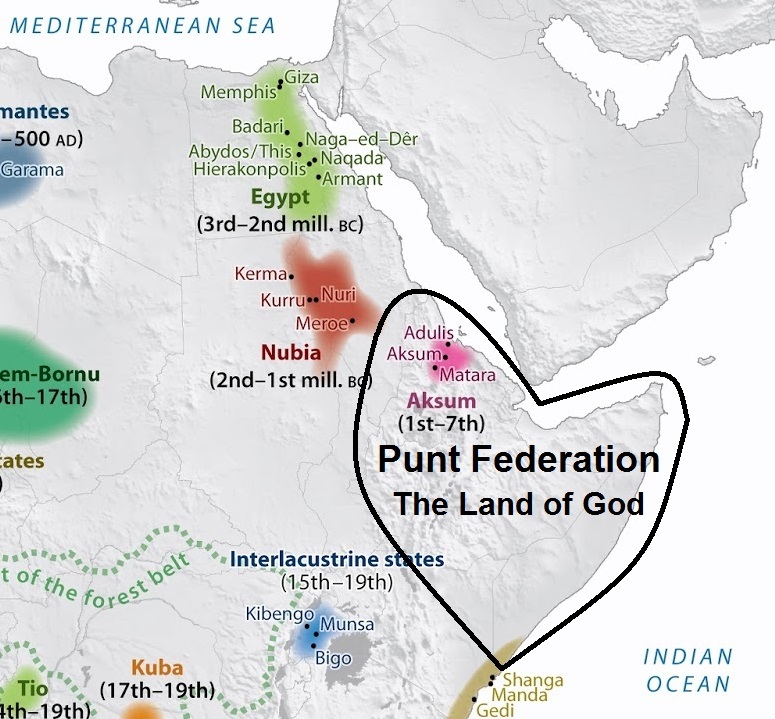 Probably, Abraham and his people were from the land of Punt. 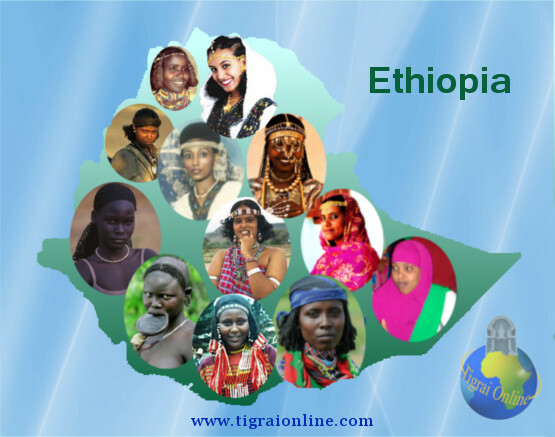 According to the Sidama, Gudit who they refer to as Furra, belonged to Havilah Gadire tribe. 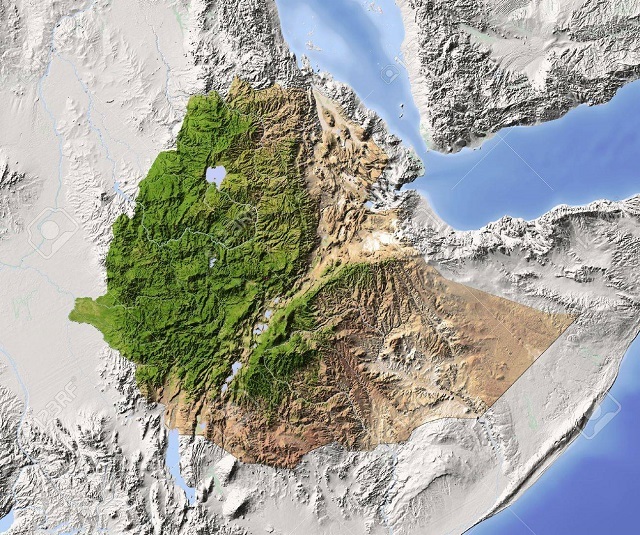 [The Bible also tells us that Noah begot Ham, Ham begot Cush and Cush begot Havilah (Genesis 10: 1-7), and the land of Havilah is in Ethiopia identified today as Godjam, the land skirted by the river Pishon (Genesis 2:11-12) or the Blue Nile, the first of the four rivers of Eden.